4 Vehicle Calamity in Front of Wal-Mart, LIVINGSTON, March 1, 2010 - Shortly before 4 pm on March 1, 2010 traffic in front of Wal-Mart in Livingston was backed up from the west entrance light all the way back to Taco Bell. According to Livingston Police Department, the black Ford F-150 was sitting in line with a gold colored Cadillac CTS behind the Ford. Traffic was at a standstill when the driver of the gray Dodge Ram 1500 "rammed" the Cadillac from behind knocking the Cadillac into the F-150. Seconds later, the white GMC Sierra came driving up and tried to avoid the Dodge Ram but still clipped its rear passenger's side. 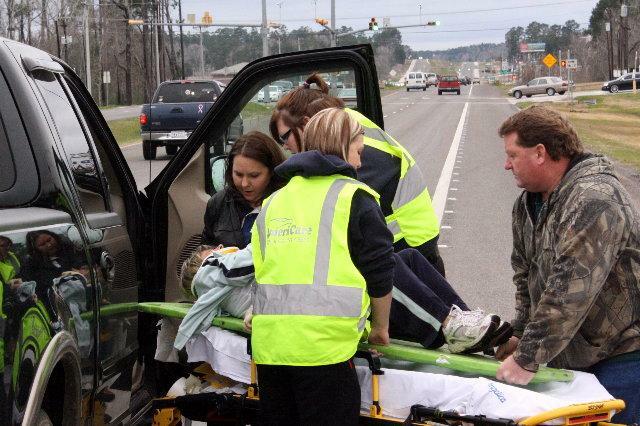 A lady in the F-150 was taken to Livingston Memorial Hospital by Ambulance. 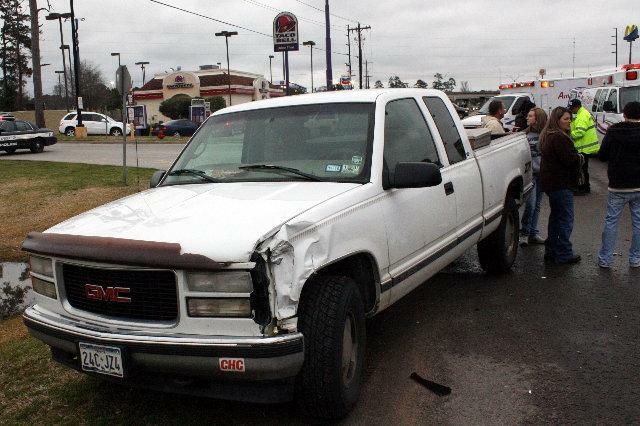 The driver of the Ram 1500 and the White GMC truck were issued citations for failure to control speed. The scene was cleared before 5 pm. 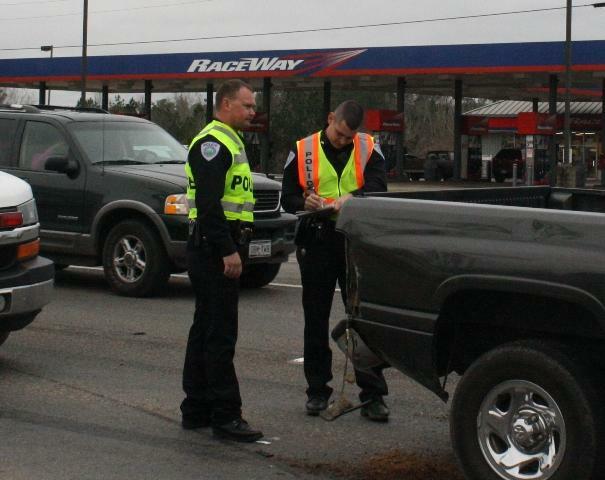 Officers Chad Ward (left) and Kevin Ward, had their work cut out for them in this major fender bender. The black F-150 was at the front of the wreck. The truck was sitting still in traffic that was backed up from the light at the other entrnace of Wal-Mart. The Cadillac CTS was sitting behind the F-150. 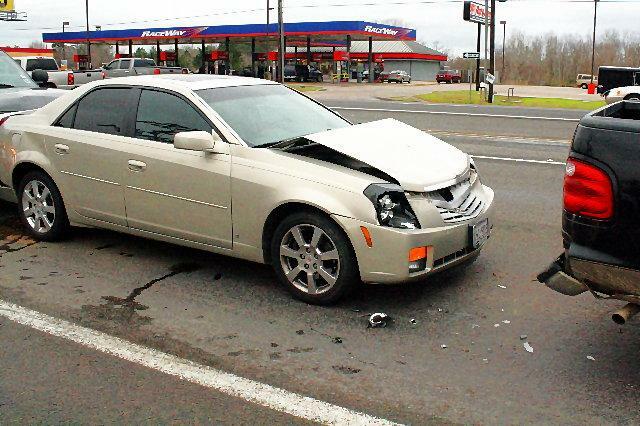 The gray Dodge Ram slammed the Cadillac from behind and knocked the Cadillac into the F-150. 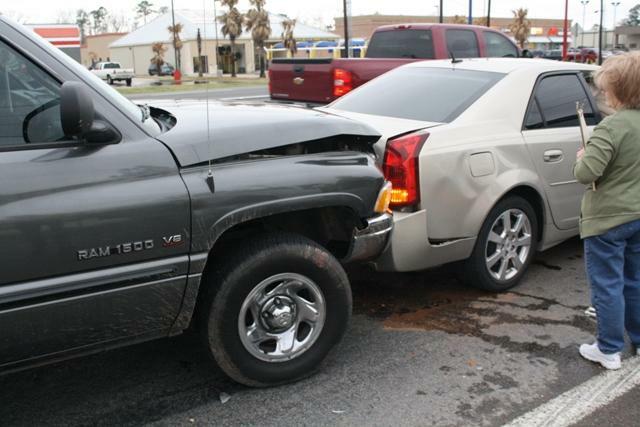 The GMC Sierra failed to control its speed, but tried to avoid hitting the Dodge, but still clipped the back of the Dodge with a glancing blow. 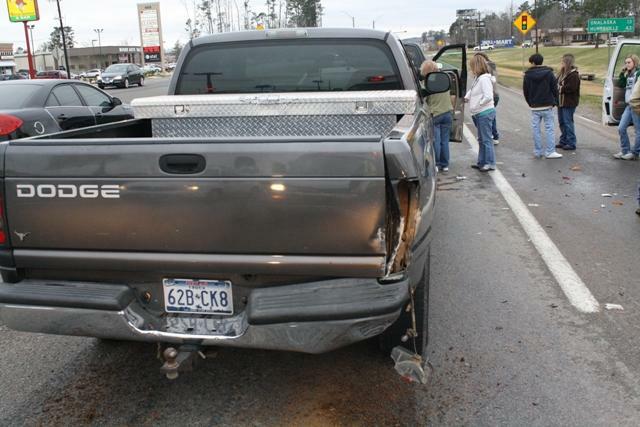 The passegner's backside of the Dodge was clipped as the GMC unsuccsessfully tried to avoid contact. 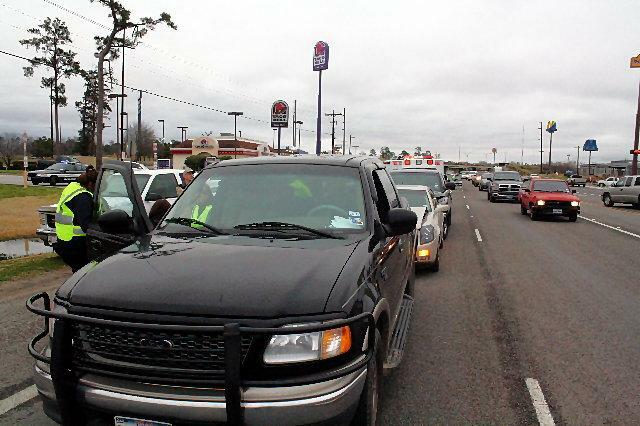 A lady in the F-150 was hospitalized with non-life-threatening injuries.